Thom works with encaustic paint. A technique dating back to 100-300 AD, encaustic involves painting on wood or other materials with heated beeswax to which colored pigments are added. 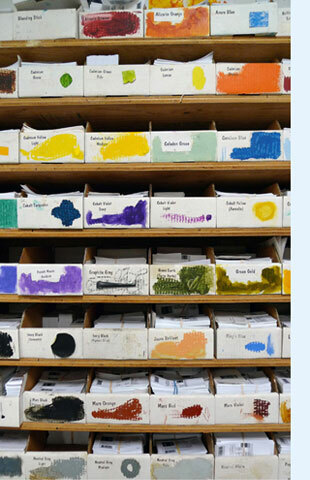 R&F Paints manufactures encaustic paint in Kingston.